Spring gardening season has begun and here are some of the newest trends. Redesigning your yard or garden will help turn your outdoor space into an oasis and add value to your home. You’ll want a space you can enjoy all year long. It’s no secret that caring for the planet is a topical concern. 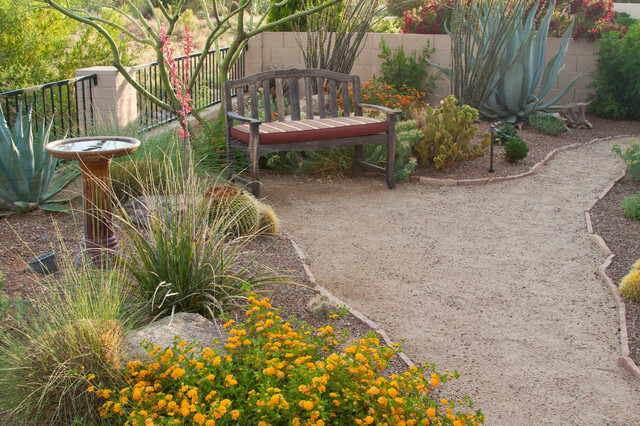 Sustainable, drought-resistant landscaping is quickly gaining popularity, especially in Southern California. Not only does it help preserve water, it also keeps bills low, a blessing during warmer weather. As you begin designing your new sustainable landscaping, strategic placement of your plants is a must. Select plants suitable for the soil, sunlight, and space in your yard. Plants need enough space to reach full size without frequent pruning. Proper placement ensures plantings will thrive naturally, remain healthy, and will reduce upkeep. Some of you have kids and may not want to go without a lawn. Read more about this in my other article on alternative native lawns that take less water to grow. If you’re wary about ripping out your lawn all at once, try including drought-resistant landscaping in just your front yard, or in a corner. Small steps can make a big difference! Most likely, you’ll enjoy it so much, you’ll want to transform the rest of your yard soon enough. Bring a pop of color into your yard with butterflies! Gardeners are becoming more interested in adding plants that attract these beauties, as well as hummingbirds and bees. There are more than 170 species of butterflies in southern California, and the right plants can bring some of them into your yard. Butterflies need plant material that is indigenous to the region, as well as shade, food, and a steady source of clean water. Consider installing a butterfly water garden or a birdbath to provide extra water. As you select your plants, choose nectar and pollen-rich plants such as wildflowers and old-fashioned varieties of flowers. Native SoCal plants like Azaleas, Bougainvillea, Citrus Trees, and Sage will bring a rainbow of butterflies. 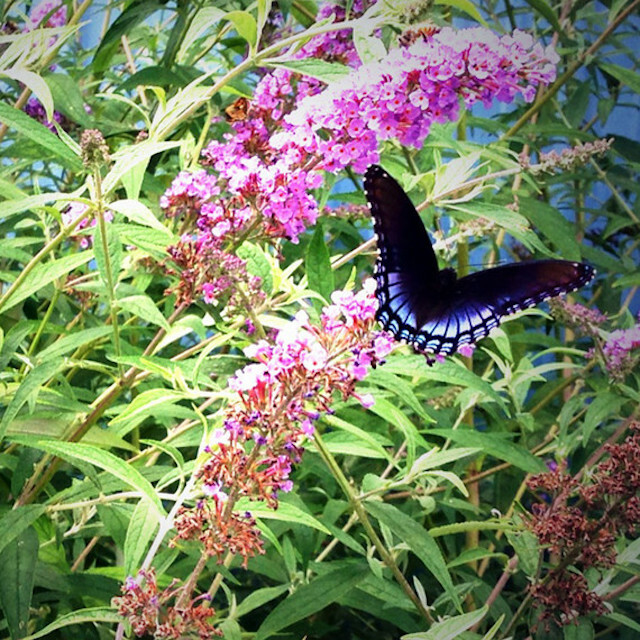 Try searching for your favorite butterfly, and see which plants attract them the most. 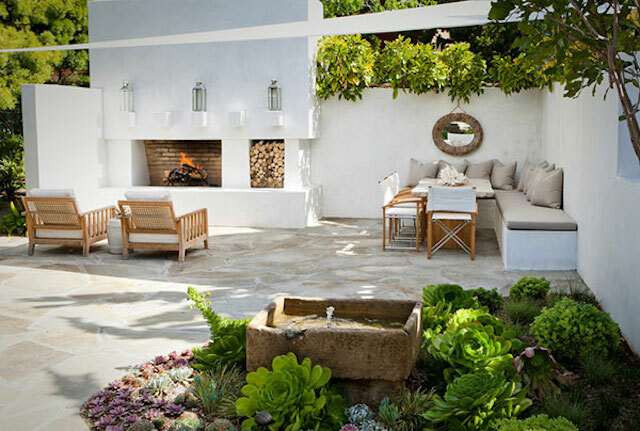 Here in Southern California, outdoor living has always been our way! But now, the rest of the world is catching on, incorporating outdoor kitchens and creating cozier seating areas. Turn your backyard into the most used part of your home this year. Arrange outdoor furniture around a fire pit for easy conversation and s’more making. You can make the space even cozier with an outdoor rug, extra pillows, a throw, or strings of lights for ambiance. Look for outdoor sofas in new fabrics that are soft yet durable. The yard is a great place to experiment with fun seasonal colors and patterns that you wouldn’t typically find inside. Use this space to experiment! Have fun! You don’t have to be an avid gardener to incorporate fruits, vegetables, and herbs into your landscape design. 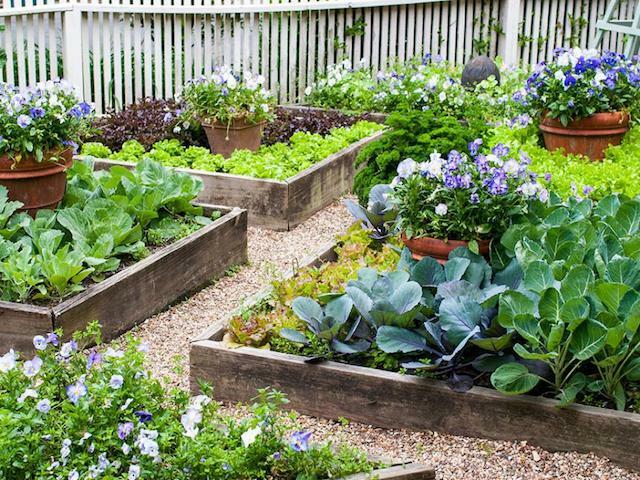 Skip a trip to the grocery store and shop the bounty of your back yard. Most of these edibles require no more care and upkeep than other plants, with a huge added benefit to you. If you’re just getting started, most herbs are quick to grow and will take off with just a little care. 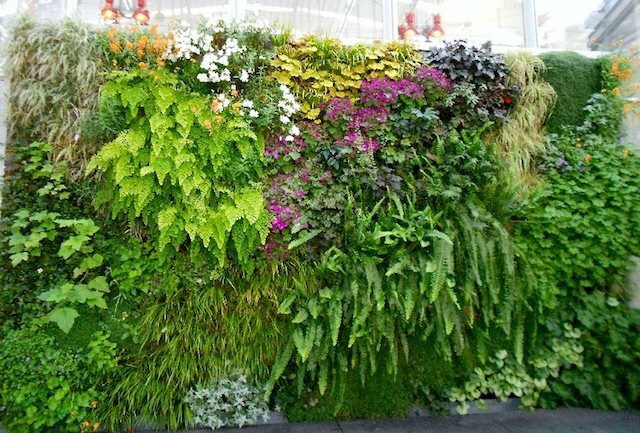 Turn things sideways with a cool vertical garden. Equally beautiful inside or out, these can be customized to your style and space. These are great for gardeners who don’t have a lot of horizontal space, want to cover a wall, or to create a privacy barrier. All types of flowers, herbs, succulents, and grasses are great candidates for this alternative gardening technique. Plants with soft stems that will droop down can create a particularly spectacular effect. 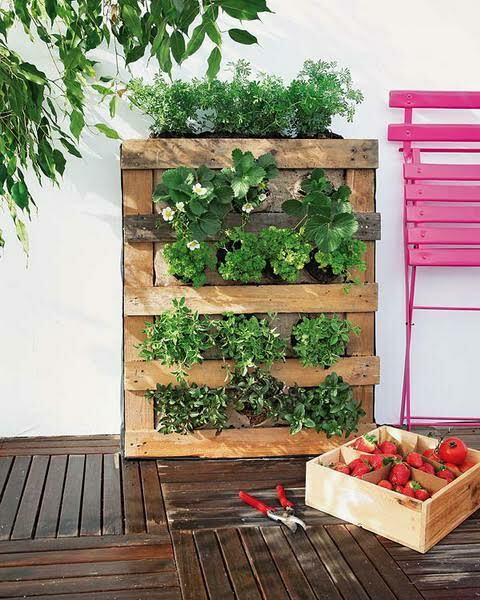 A vertical garden is the perfect weekend DIY project. The basic structure is made of a frame or wood pallet with landscaping fabric attached to the back, then filled with soil. For something simpler, you can try a container garden, with potted plants that are attached to a wall or displayed in rows, or stacked planters. Each of these garden trends can update your yard and hopefully make it your new favorite place to be.